U.S president George W.Bush still doesn’t seem to push mandatory reduction of greenhouse gases and is appealing to Americans to adopt fuels saving techniques. 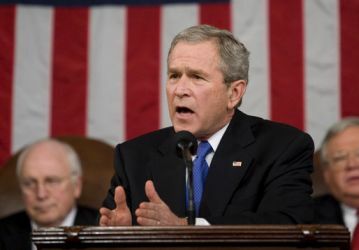 Bush was delivering the State of the Union address at Washington, Tuesday. He emphasized on the need of alternative fuels, mainly ethanol, to reduce the need for gasoline that can bring to a halt the growing the consumption of fossil fuels in U.S. The president also makes clear he has no plans to shift away from a largely voluntary program to address climate change. He called for increases in automobile fuel efficiency standards. Environmentalist and alliance of leading US business companies termed Bush’s appeal unsatisfactory as it not bind the people under the law that can enforce them to stop the fuel emissions. It’s a step in the right direction” but not a fundamental shift in the president’s voluntary approach to dealing with global warming. If you (President Bush) really want to address climate change, you need a mandatory program that covers all major sources. The White House argues that use of alternative fuels is a bold new decision that also would be expected to halt the growth of heat-trapping gases from passenger vehicles, which use 40 percent of the country’s oil. Startling facts show that Bush voluntary approaches to curb emissions has completely failed as the Carbon dioxide emissions in the U.S. have increased by 354 million metric tons since 2001. The Energy Department’s latest analysis projects America’s carbon dioxide emissions will increase by one third from 2005 to 2030. America is not the only country that is facing the conflagration of global warming but other countries existing on this planet are also facing the same. Therefore, it if we call is problem of a particular nation then it would be utterly wrong. Moreover, big countries like U.S. will have to be more accountable for her policies towards environment. I want to know that what UN is doing to stop this manhandling being incurred by the U.S. to this planet. There is urgent need that international community should build a pressure on US to reduce its amount of emissions. ← Is the Permafrost in the Himalayas Thawing?